The Mermaids are COMING!!! 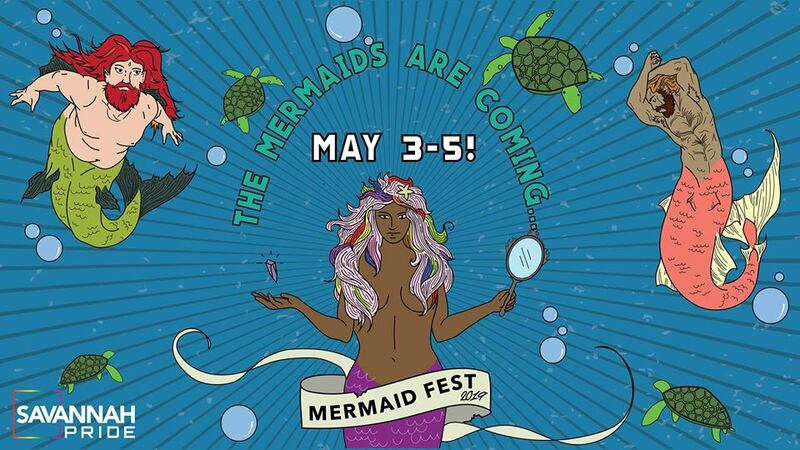 It's time for the 2nd annual Tybee Island Mermaid Festival! All of the fabulous mer-folk of your dreams are washing up on Tybee to join us for another year, and they are ready to have a gay ole' time! Featuring our very own Tybee Mermaid and Blixunami the Geechee Merm as your special guests. They'll be bringing all of their friends with them and we will announce more of those fintastic mer-folk later! Starting on Friday May 3rd with the Mermaid kick off at CoCo's Sunset Grille. Then join us Saturday night for another incredible Tybrisa Twirl Pub Crawl, featuring this years tasty partner Coastal Empire Beer Co. Then end your night at the drag filled AFTER PARTY!!!! But, don't forget to get your tails to the Tybee Pier on Sunday for the MERMAID FEST pier party and tea dance! Featuring live music, fun, and fins!! You wont want to miss out!